The FDA said this month that it plans to add much-needed clarity to an overused word in food marketing: "healthy." (Image via Kind's Facebook page). WASHINGTON: Healthy is officially getting a makeover. The Food and Drug Administration said this month that it plans to redefine the word as it tries to keep up with changing attitudes towards nutrition and food. That means some foods may have to lose the "healthy" labeling, while others like avocados and almonds will be able to use it. The government agency officially defined the term in the 1990s. In order to use it on packaging, foods must meet certain criteria on fat, saturated fat, sodium, cholesterol, and nutrients. Under current guidelines, most nuts and avocados cannot be advertised as "healthy" because of their fat content. Yet Pop Tarts and some sugary cereals use the label freely. Use of the word by brands was questioned last year when Kind received a warning letter from the FDA for featuring "healthy" on its labels when its bars didn’t meet government criteria. However, by and large, most people would consider a Kind bar a healthy food. "A word like healthy is so confusing and so broad," said Grace Leong, CEO of Hunter PR, whose client roster features several food brands. "It doesn't mean anything 20 years after it was invented." The FDA does not have a timeline for the process. The federal agency said in a statement that its decision to reevaluate the term was prompted by a citizen petition - likely the one started by Kind late last year - and a House of Representatives appropriations bill that requires the FDA to change its regulation of the term "healthy." Experts noted that "healthy" has been a tricky word to use in food and beverage marketing and PR. Consumers don’t have the same definition of it as the FDA or even other members of the public. Customers have a "prove it" attitude toward the term, Leong said, meaning they don’t just want to see the word; they want to see why something is healthy on the nutrition label. "It will require us to change our messaging and change our approach, which is a good thing," Leong said. "Consumers don't want to hear the same thing over and over." She added that focusing on what exactly makes a food healthy is better than simply proclaiming it is good for the customer. "I would zero in on the ingredients that made it healthy," Leong said. "Let’s say a brand was using ‘healthy’ because a cereal had a lot of fiber. 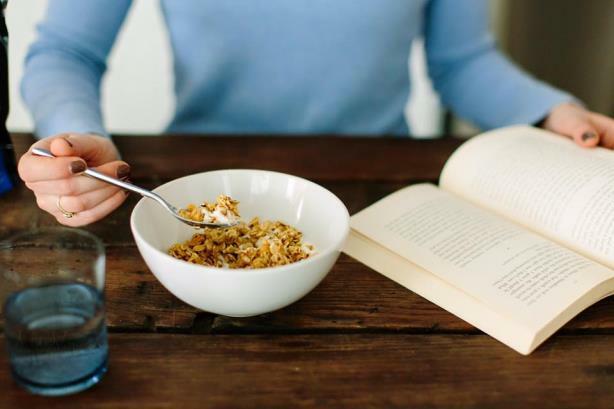 I would focus on changing ‘healthy’ to ‘loaded with fiber.’"
Another approach is promoting a healthy diet, rather than individual foods, said Atalanta Rafferty, executive MD at RF|Binder. "Singling out ingredients and products is a challenging way to approach ‘healthy’ from a consumer perspective," Rafferty said. "It’s that same old adage of a balanced diet. We always approach the communication around a healthy lifestyle, more than product specific." She noted that many brands have moved on from simply labeling food as "healthy." "A lot of companies have already moved in the direction of trying to reshape the conversation around their specific products," Rafferty said. "If you look at cereal, for example, [brands] have talked about it as part of a wholesome diet." Both Rafferty and Leong contended that words like "healthy" and "natural" don’t mean anything to consumers because brands just throw them around without a clear meaning. What’s more, the FDA also said this month that it wants to redefine "natural," which has no official definition. "There are plenty of words in the food lexicon that need the same definition," Leong said. "This will start a whole cascade of words being examined, and it’s the best thing for consumers: [adding] clarity and consistency."